The SBTC exists to facilitate, extend and enlarge the Great Commission ministries of the Southern Baptist Convention and Southern Baptist churches and associations of Texas, upon the authority of God's inerrant Word to the glory of God the father, under the Lordship of Jesus Christ, and by the empowerment of the Holy Spirit. First Baptist Church Keller is affiliated with the Southern Baptist Convention. 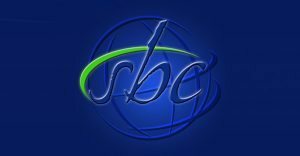 Since its organization in 1845 in Augusta, Georgia, the Southern Baptist Convention (SBC) has grown to over 16 million members who worship in more than 42,000 churches in the United States. Southern Baptists sponsor about 5,000 home missionaries serving the United States, Canada, Guam and the Caribbean, as well as sponsoring more than 5,000 foreign missionaries in 153 nations of the world. The International Mission Board (IMB) exists to lead Southern Baptists to be on mission with God to bring all the peoples of the world to saving faith in Jesus Christ. It is the foreign missionary sending organization of the Southern Baptist Convention (SBC).